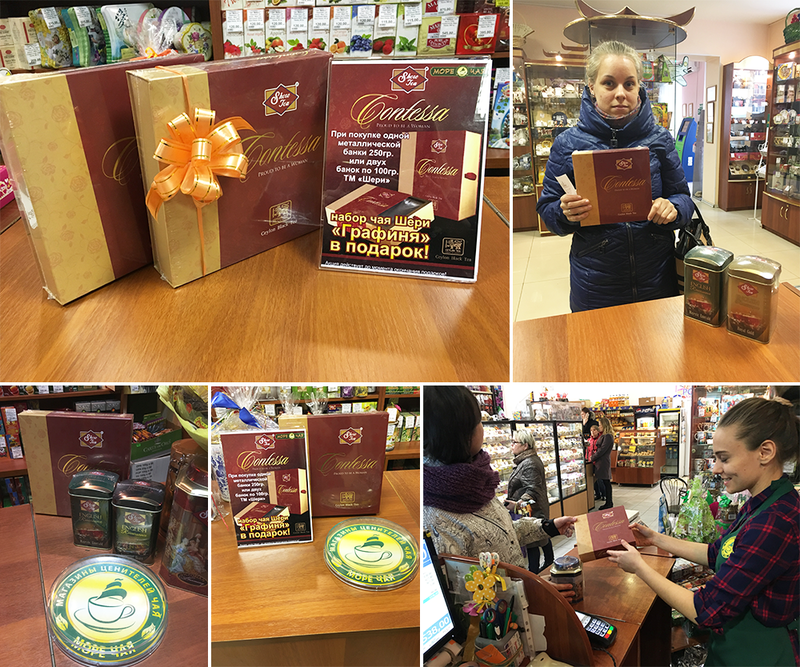 ShereTea ‘The Winning Tea’ of Qualitea Ceylon (Pvt) Ltd. promoted its exclusive ShereTea Contessa Pack in Russia specially targeting Women’s Day from 5th March 2016 till the end of the gifts. Customers who produced receipts of ShereTea purchases of one Shere 250g metal can or two Shere 100g metal cans got Contessa Pack for free. FOR WOMEN ONLY. Customers who bought presents for women also got a Free Contessa Pack and every ShereTea product purchase was offered with a Free Shere Pen. The Promotion was a massive success! During the first days of the promotion, customers received about half of all gifts. The promotion was prolonged for few weeks throughout the month of March 2016.